Like water over a fall, the light felt as though it was spilling down inside this canyon wall in this abstract composition. 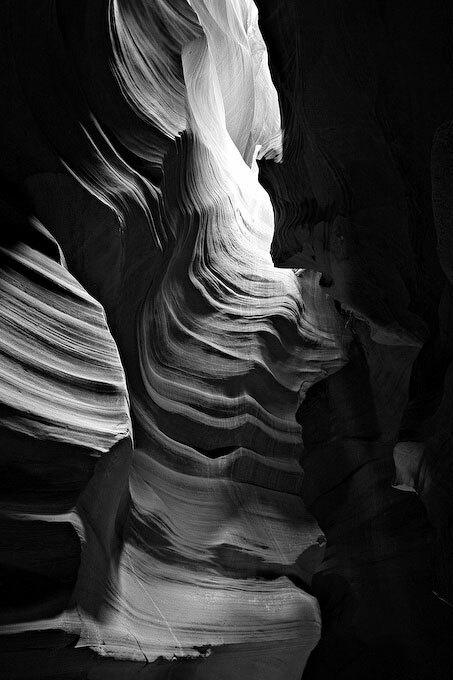 The sharp contrast and curves created by light raking across the striations in the rock, give this static subject a sense of movement. January, 2007: "Light Spill" wins Currier Museum of Art award at NHAA 59th Annual exhibit, Chris invited to guest lecture at the University of New Hampshire's Paul Art Center.